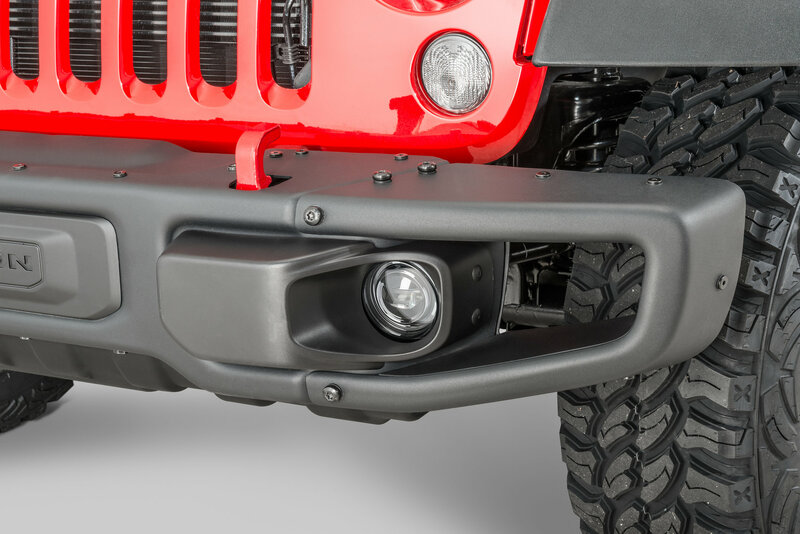 If you have a factory steel bumper on your Wrangler JK, whether it came with one or you replaced your older bumper with one, maybe it is time to upgrade your fog lights with a pair of quality LED Fog Lights from Quadratec. Our LED upgrades feature a solid state maintenance free design with advanced photometric technology for a crisper and whiter light output thats closer to the color temperature of actual daylight. Guaranteed to deliver dramatic improvements or your money back! Lenses have a distinct customized appearance while bringing function and styling to a higher level. The rugged body construction features die-cast aluminum housings with crystal clear impact resistant polycarbonate lenses and beam height adjustment screws. The solid state electronics and powerful LEDs are protected by water tight seals. 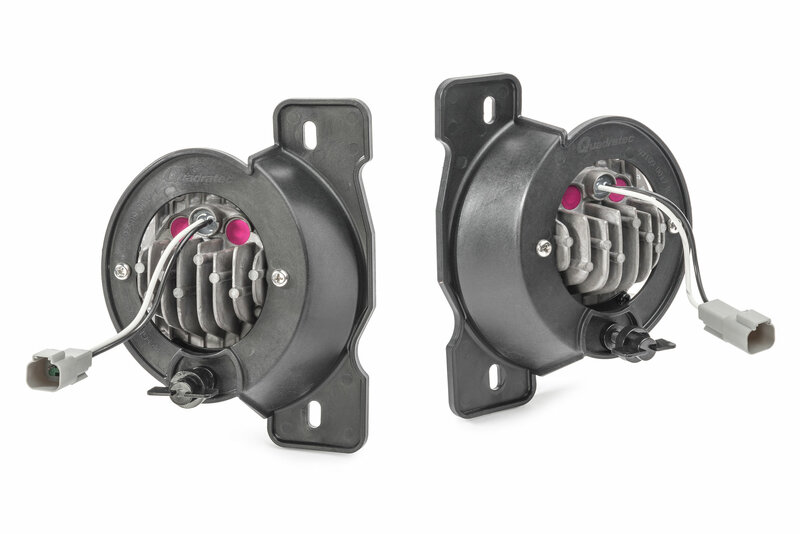 These drop-in replacements are truly plug-n-play requiring no modifications and installation takes only 20-30 minutes and uses the existing factory steering column switch to operate. Each lamp aims 2 high powered LEDs at a computer designed muti-surface reflector that disperses the light into a distinct and optimized fog beam pattern. Our exclusive design installs in place of the factory lamps using the existing mounting hardware. Once installed you will immediately appreciate a whiter, crisper light that provides greater visibility when driving in foul weather. 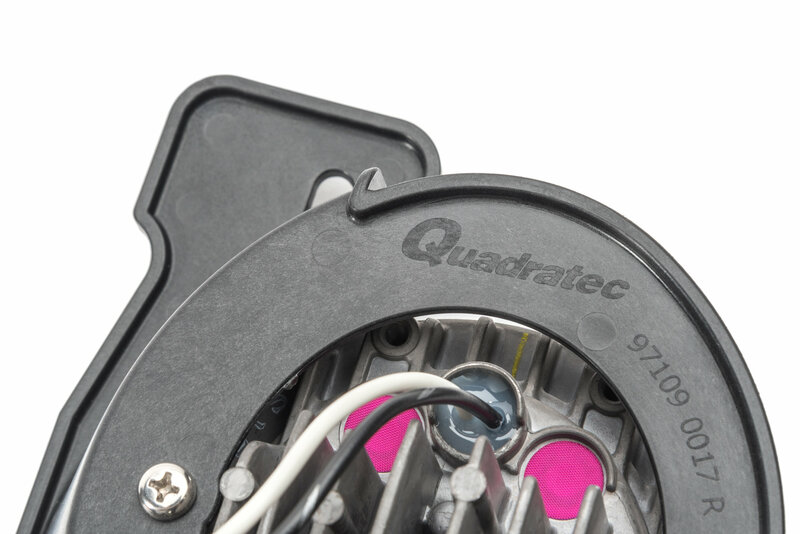 Our lamps meet DOT and SAE federal motor vehicle safety standards and are approved for highway use in all 50 states and come with Quadratec's 3 Year Limited Warranty. Sold in Pairs. 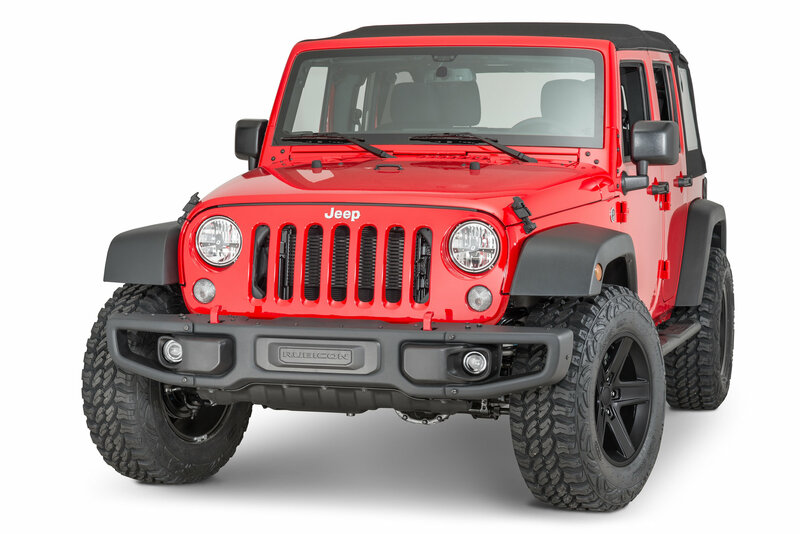 Plug & Play: No modifications needed to add these fog lights to your Wrangler JK, just use the provided wiring harness to plug right in and get back on the road with a set of brighter fog lights. 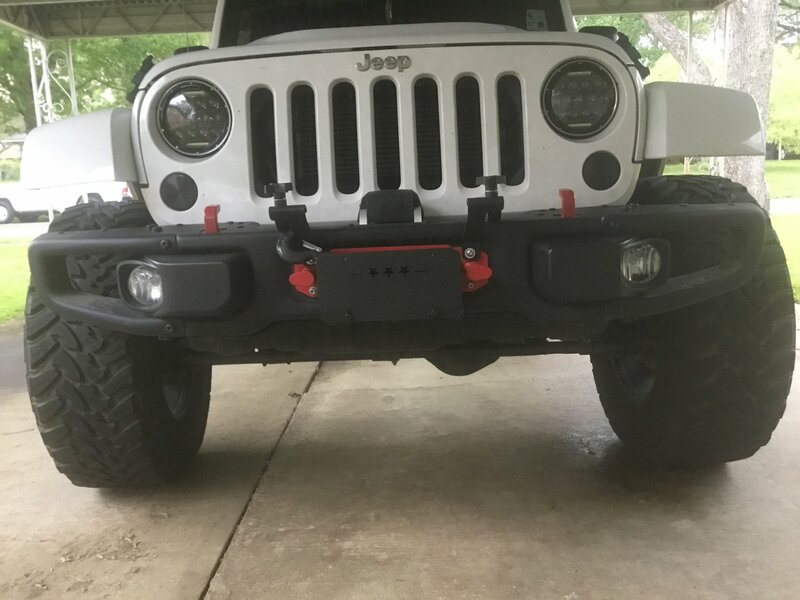 OEM Steel Bumper: This LED fog light kit is specifically made to fit the factory steel bumpers such as the 10th Anniversary bumper or the Hard Rock bumper. 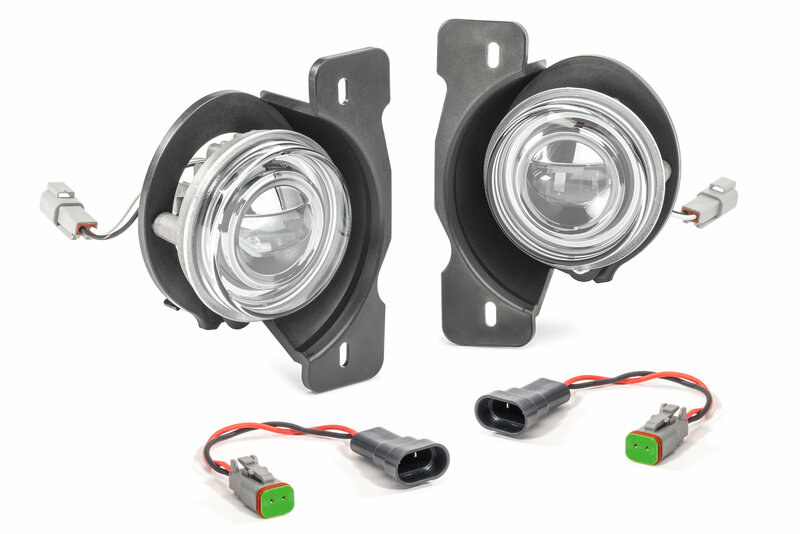 DOT & SAE Approved: This LED fog lights are approved for federal motor vehicle safety use so there is no need to worry about using them in all 50 states. The LED fog lights produce 680 Lumens per light (1360 Lumens per pair). What are the lumens on this product? These are 7.7 Watts, and 680 Lumes per light. 1360 Lumens per pair.